As a devout hockey fan, every year I look forward to the release of NHL hockey games. That environment has changed a bit over the past few years with 2K Sports’ exit to the Wii only versions of its game since EA started to dominate with its classic NHL series. 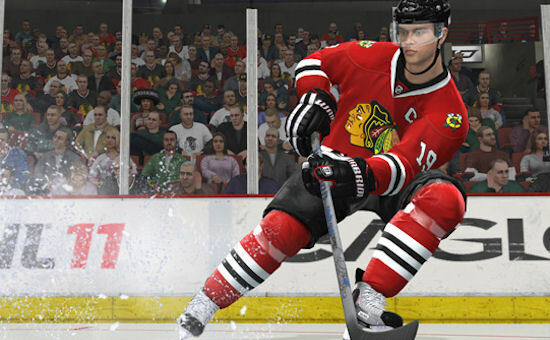 NHL 11 is here this year, and like its predecessors, it not only iterates on what makes the series great, it makes great strides and improvements bringing this closer and closer to a true hockey simulation. 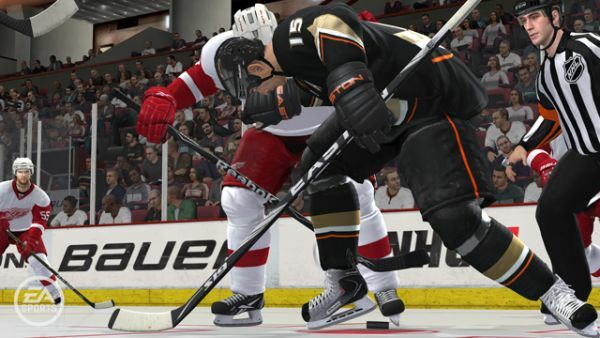 Like Madden 11 this year, NHL 11 has gotten a brand new physics system which governs players on the ice. The result is realistic feeling checks and hits, accurate puck bounces, and goalie rebounds you can plan on smacking into the back of the net. Hitting someone against the boards and hearing the rumble of the plexi-glass is oh so satisfying in both sound and looks. Another new addition is a brand new face-off system that works really well - you can now tie up opponents, dig for the puck, and change your grip on the stick from under to over hand. Perhaps the most realistic feature is the addition of broken sticks - just like the NHL - players will find the sticks breaking on wicked slap shots, slashes, or from brutal hits. This truly is a nice touch and one of the last great missing pieces of the hockey simulation. Sadly we don’t hear our over the hill commentators talk about if the players were using real wood sticks like they used to it wouldn’t break. You can now tie up the center on face offs. Once again EA has excelled at the presentation of hockey capturing the atmosphere of a game perfectly. The game looks gorgeous and most of the player models are spot on. It’s easy to tell who Johan Franzen is just by looking at him. Personally, I’m glad Mike Ricci no longer plays in the NHL, I fear how scary he would look in this game. Audio wise we have plenty of licensed music - including many tracks you’d hear at an arena like Final Countdown and Sandstorm. There’s a ton of modes of play as well this year, including the ability to play some international leagues. Returning again is the EA Sports Online Hockey league where you take a player that you create and run through a season of games with other players on a custom team versus other user controlled teams. New this year is EA Sports Hockey Ultimate Team - a mode that’s a bit like Magic the Gathering meets fantasy hockey. Page created in 0.9832 seconds.